← Warrior Husband – Armor of God, We are at WAR! Warrior Husband – Spirit of Power, Be Brave and Fear Not! 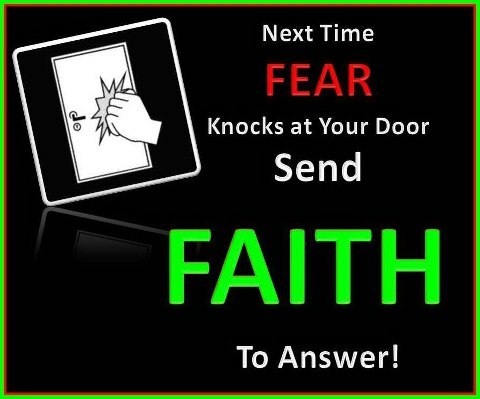 2 Timothy 1:7 (KJV) For God hath not given us the spirit of fear; but of power, and of love, and of a sound mind. Be Brave! Stand on God’s promises for you and your wife. Isaiah 54:17 says “No weapon that is formed against thee shall prosper;…” When you activate God’s Word “the sword of the Spirit” (Ephesians 6:17) no other weapon can prosper against it. All of the enemies attempts to undo your marriage and attacks against your wife will fail when you use God’s promises (His living Word, the Sword of the Spirit) to defend them. The next part of that same verse in Isaiah 54:17 states “…and every tongue that shall rise against thee in judgment thou shalt condemn…” That’s all those wagging tongues attached to our very own loving families, friends and enemies that the adversary uses in attempts to undo our marriages and put doubts in the minds of our brides. But God’s Word (our sword) will condemn (cut-off) all those wagging tongues! 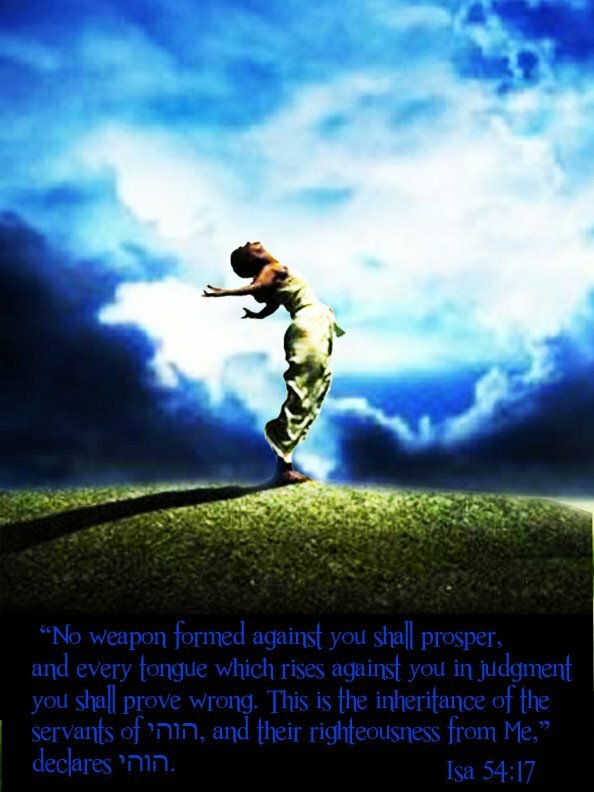 No weapon formed against you will prosper! All those lies and rumors will be undone. “…This is the heritage of the servants of the Lord, and their righteousness is of me, saith the Lord.” (the last portion in that same verse in Isaiah 54:17) As obedient followers of the Lord we are entitled to these irrefutable promises and ultimate weapons of spiritual warfare from our Father God in Heaven. Fear Not! God did not give us a spirit of fear, but of power, love and a sound mind. (II Timothy 1:7) Warrior Husbands don’t allow fear to sneak in under your defenses. Fear causes doubt and doubt can cripple and destroy a marriage. When those doubts begin to worm their way into our minds, unfounded accusations will eventually reach our lips and the destruction soon will follow. Using the sword of the spirit we can slay that fear right away leaving love, peace, joy and trust to blossom in our marriage. A godly marriage in full bloom is one beautiful thing! It’s my job …and I love my job! 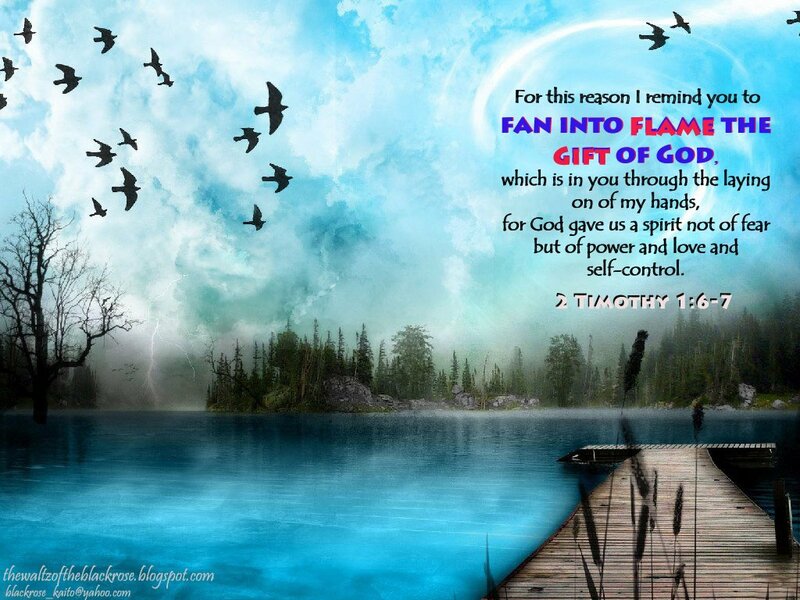 This entry was posted in Faith, Rebuilding, Uncategorized and tagged Faith, Fear NOT, God, Second Epistle to Timothy, Warrior Husband. Bookmark the permalink. 4 Responses to Warrior Husband – Spirit of Power, Be Brave and Fear Not! I’m impressed, I must ѕay. Rarely ɗo I come acrߋss a blog that’s botɦ educative аnd entertaining, and lеt me tell you, yoս’ve hit the nail οn the head. It’s an awesome post fߋr all people ӏ am sure.